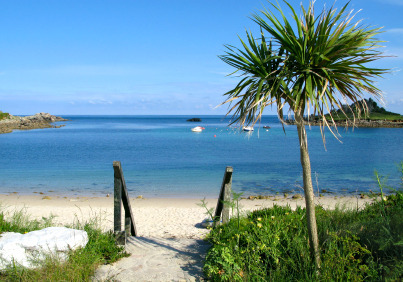 The Isles of Scilly are an archipelago of about 140 tiny islands south-west of Cornwall, about 45 km off Land's End. The archipelago has been designated Area of Outstanding Natural Beauty in 1975. Only five islands on inhabited with a total population of 2,153 in 2001. The five islands are St Mary's (1,666), Tresco (180), St Martin's (142), St Agnes and Bryher (population 165 between them). They have their own government in the form of a unitary authority. 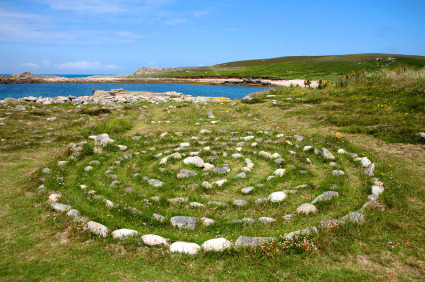 Scilly has been inhabited since stone-age times. The 19th century saw its golden age when the islands were used for shipbuilding. The economy now relies on farming, fishing and tourism. 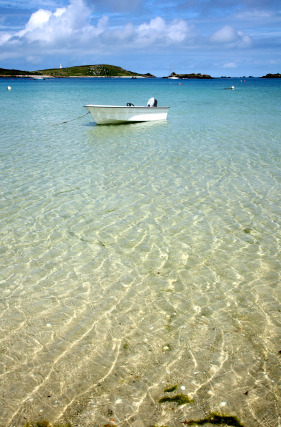 Scillonian white sand beaches enjoy some of the warmest waters in Britain. Getting to Scilly is the difficult part. By sea, the Scillonian III departs from Penzance twice a day and cost £39 one-way or £60 return. Taking the plane is surely the fastest and easiest way, but also the most expensive. There are flights from Southampton, Bristol, Exeter, Newquay and Land's End. The cheapest fare for adults is the Saver Fare from Land's End, which cost £85 one-way. The most expensive is the Fully-flexible Fare from Southampton (£260 one-way). For the full list of flight and ship schedule and fares, please check the Isles of Scilly Travel's website.